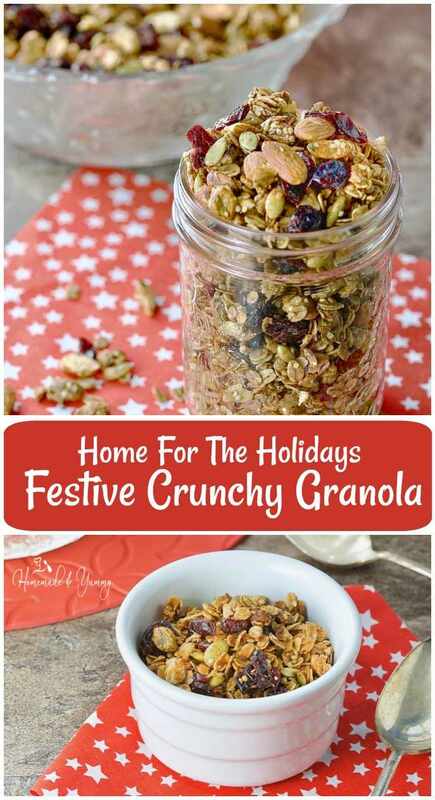 Home For The Holidays Festive Crunchy Granola | Homemade & Yummy Homemade & Yummy | Fun delicious recipes and more. OMG have your ever made homemade granola? Where have I been all this time? 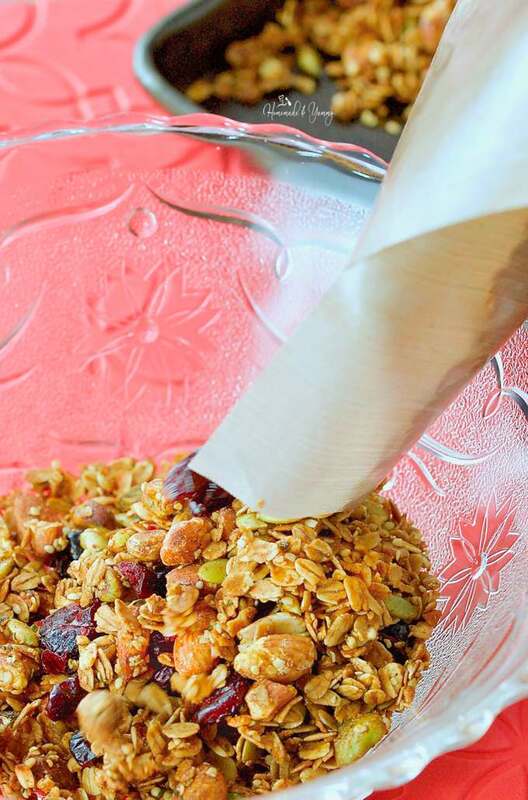 Once you make this Home For The Holidays Festive Crunchy Granola, you will NEVER buy granola again! Ok, so for whatever reason (and I don’t know what it is), I have never made granola this way. NOW that I have experienced the awesomeness of this over the top delicious goodness, bought granola will NEVER make an appearance again. Period. Don’t ask me what took so long, but hey better late than never. I made this like 2 days ago, and I can still smell the wonderful aroma when I go into the kitchen. Want to you make your house smell wonderful? Make some of this granola, works like a charm. I still love my version of Healthy Granola, and Soft Chewy Granola Bars, but this crunchy granola is my favourite so far. I cannot believe it took me so long to get on the band wagon. One batch and I am totally addicted. So many flavour combinations are rolling around in my head right now. HOW did I NOT try this sooner? The same thing happened with I made homemade cranberry sauce for the first time. I have never bought canned cranberries again. Ok, so it is now November! OMG, don’t even get me started on how many shopping days are left till Christmas. I know my USA blogger friends are getting geared up for Thanksgiving (and your awesome Black Friday deals). I can feel my stress level starting to rise just thinking about the next couple of months. Shopping, baking, parties, and let’s not forget fighting the CROWDS! I will say I have done some shopping already. If I can do it online I will. So much more fun sitting here in my pj’s (sometimes with a glass of wine), and voila, a package arrives at my door a couple of days later (free shipping too). NO crowds to worry about either. Too bad I didn’t think to buy Amazon stocks many years ago. I know I have got to start my holiday baking. 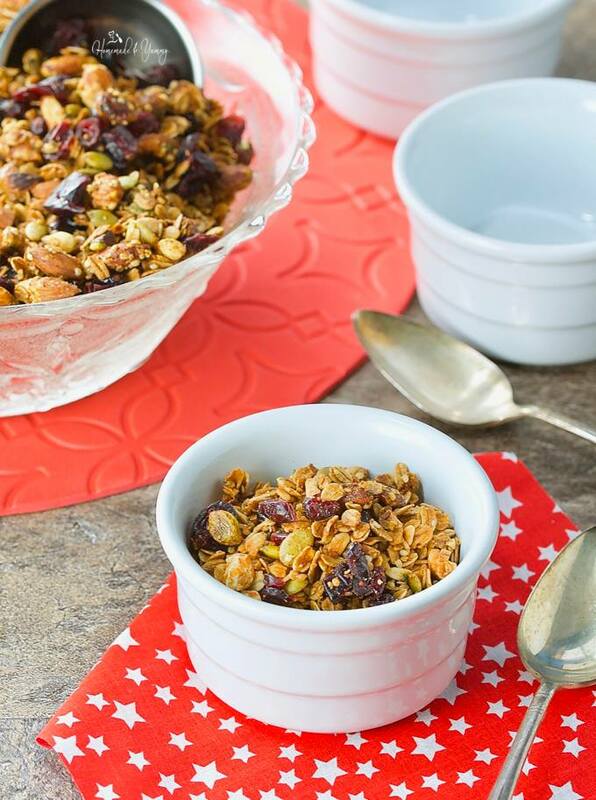 This Festive Crunchy Granola got my tastebuds revved up for all the wonderful flavours of the season. 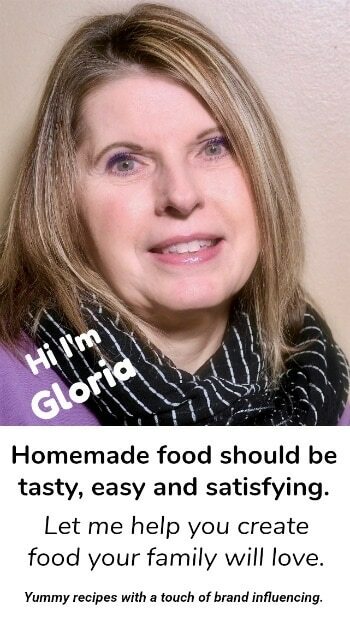 Since my mom is no longer with us, I try to make some of her recipes during the holidays to keep her spirit alive. She did love making lots of wonderful holiday cookies, and for this granola recipe I used the flavours from her Crispy Molasses Cookies. 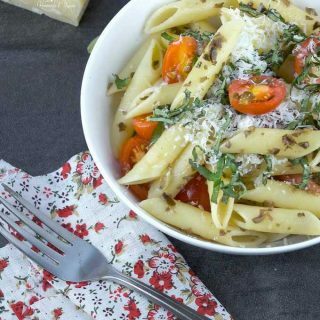 This is so incredibly easy to make. It only takes about 30 minutes. Customize the ingredients to suit your palette. Simple ingredients, no artificial flavours or preservatives. 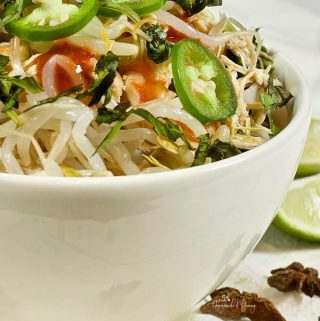 You can never go wrong with easy, healthy and delicious. 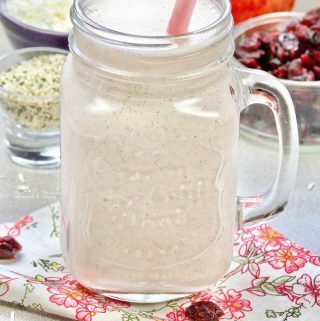 Mix up some oats and whatever nuts and seeds you like. Add the coconut oil, maple syrup, molasses and spices. Bake. 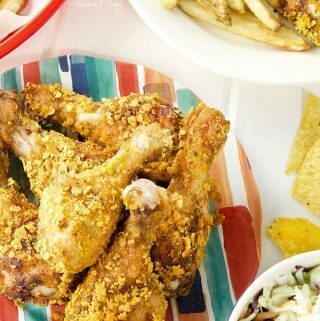 Let cool (it will turn nice and crunchy). Add some cranberries (or other dried fruits) and even chocolate chips too. 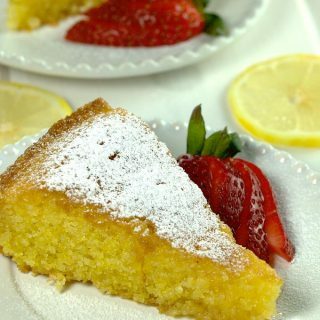 Baking Tip: Have you ever used Cookina products? You are in for a treat. 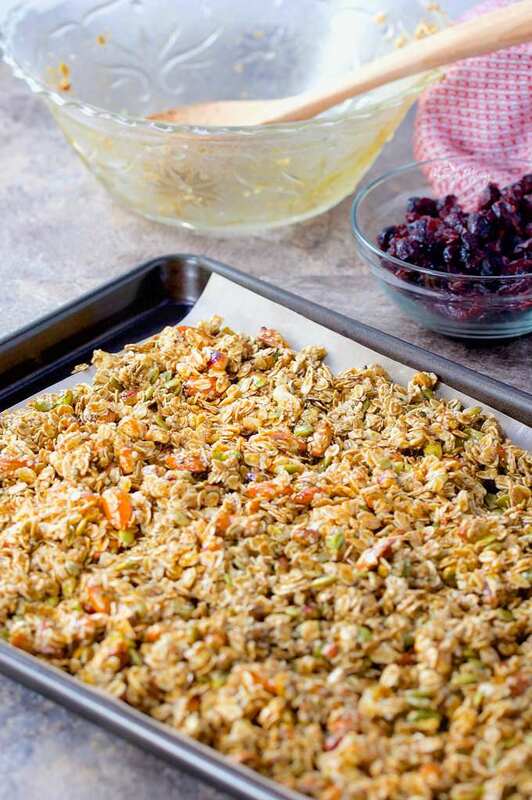 Your granola will easily slide right off this cooking sheet. I love using these products. 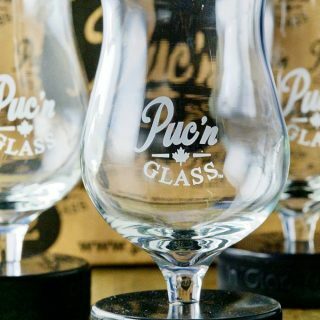 These are a must have on your Christmas “wish list”. No kitchen (or BBQ) should be without them. Pour into a bowl and let everyone serve themselves. Perfect on it’s own, or as a topping on yogurt. 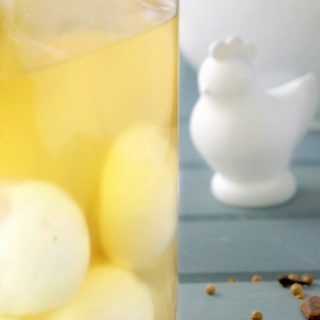 Place in a sealed container, and it will keep for several weeks. If you are like me, I keep it on the kitchen counter and have a handful now and again. What a delicious and healthy snack anytime of the day. 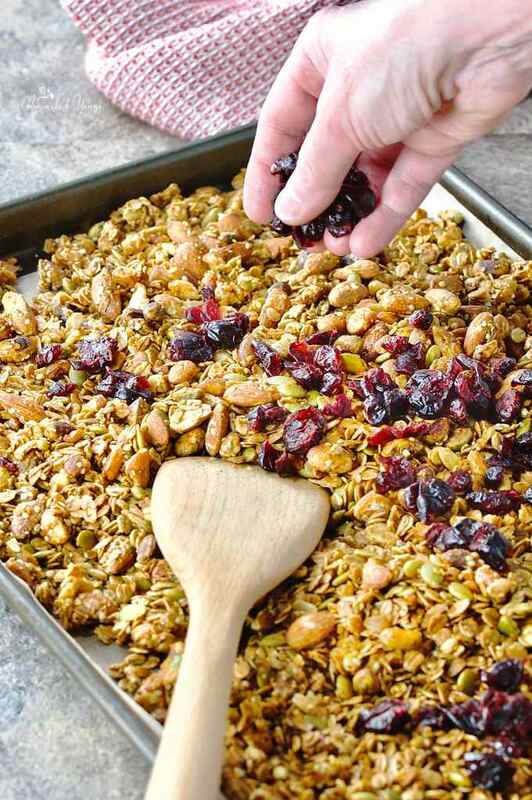 This granola recipe will get you dreaming of sugar plums and Cookies for Santa. Cinnamon, ginger and cloves combined with maple syrup and molasses. 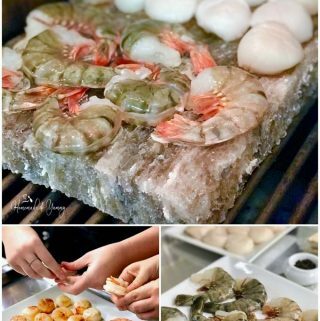 Not only is this delicious to eat, what a great “food gift” to take to all the hosts/hostesses of the Christmas parties this season. 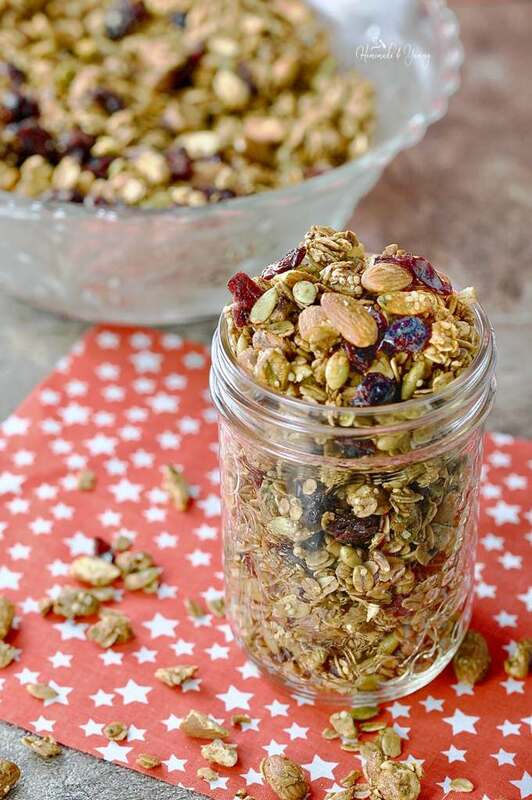 This Home For The Holidays Festive Crunchy Granola would make a great stocking stuffer too. Perfect for the gluten-free and vegans on your list. 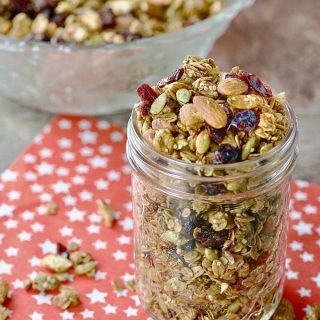 Do you have a favourite granola recipe? Are you following me on social media? Subscribe buttons are on the right near the top. 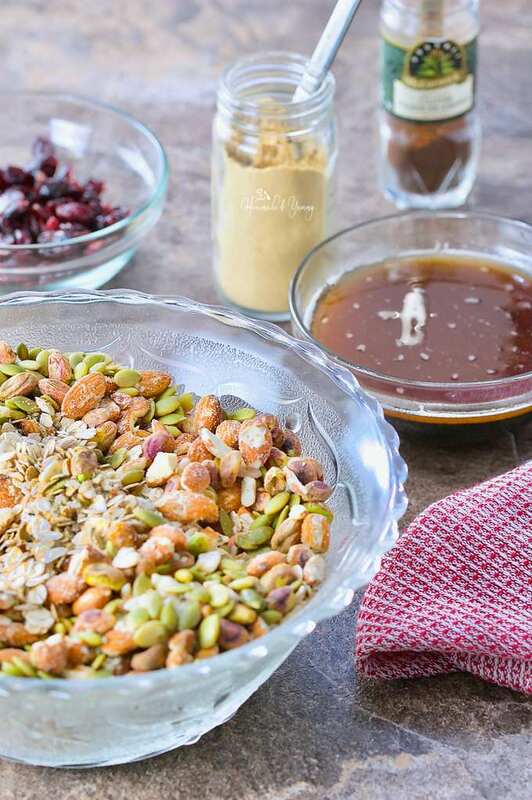 Home For the Holidays Festive Crunchy Granola is not only delicious, but easy to make and healthy too. The perfect holiday food gift. Gluten-free and vegan. Preheat oven to 350º F, and line a baking sheet with parchment. 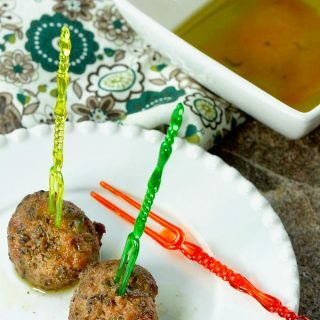 In a small microwavable bowl combine the coconut oil, maple syrup, molasses and spices. Microwave for about 30 seconds until the oil melts. (You can also do this on the stove as well). Mix well. Pour over oatmeal mixture, and mix to coat well. Spread mixture onto prepared cookie sheet. Bake for 20 minutes (or so), mixing half way through. I like my granola really crunchy, so I baked it a few minutes longer. Just be careful as the granola can burn easily near the end of the baking time. Let cool slightly, and add in the cranberries. Place in a bowl (or container). This is perfect on it's own, as a granola topper...or just by the handful for a quick, delicious and healthy snack. 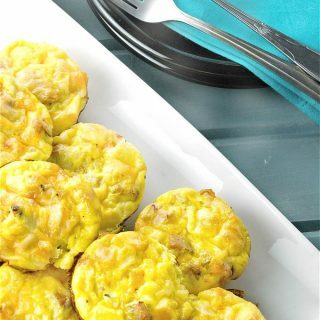 Makes a great "food gift" for the holiday season.